“Don’t worry, you’re not alone,” I consoled my trainer a few weeks ago. It seems fitting that she’s fooled all of us now. 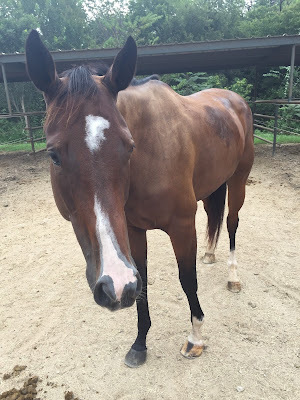 Our vet did ask the question “So Ruth’s had to have spent more on this horse’s care than the purchase price, right?” To which trainer responded “Many times over.” It feels like this year I’m single-horsedly keeping my vet in business, which isn’t the best feeling. 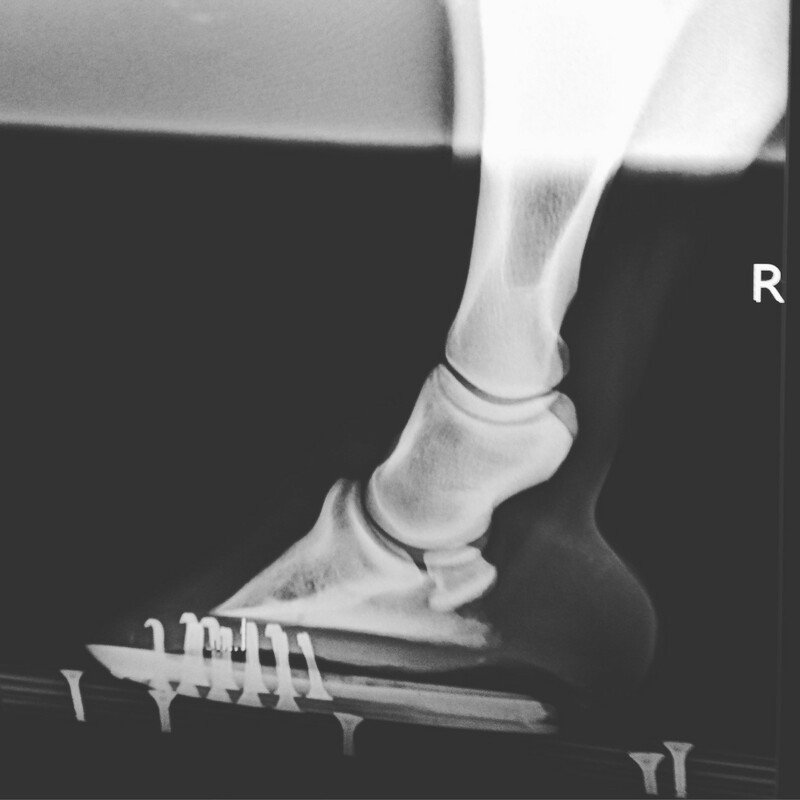 The x-rays did show that her hoof is growing so rapidly that it’s setting her foot off at the wrong angle. 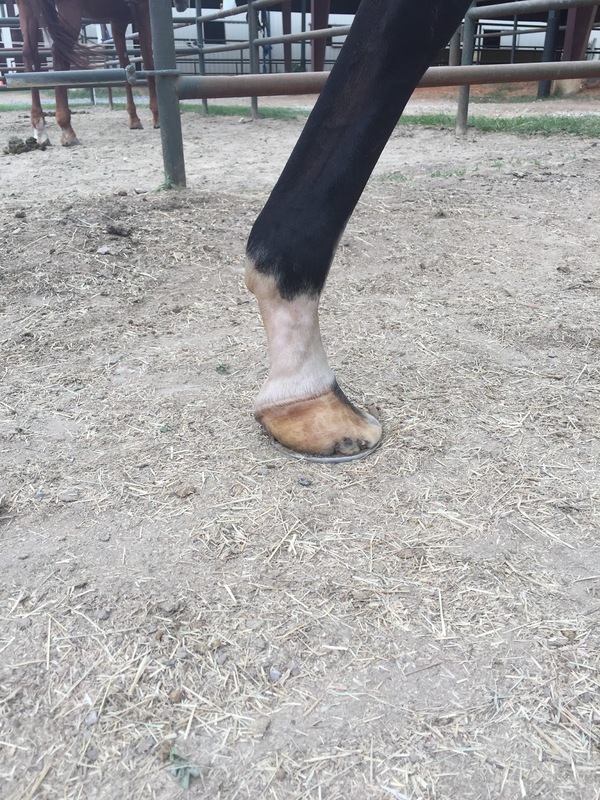 We’re going to ask the farrier to put pads in her front feet to help them angle correctly as they grow. 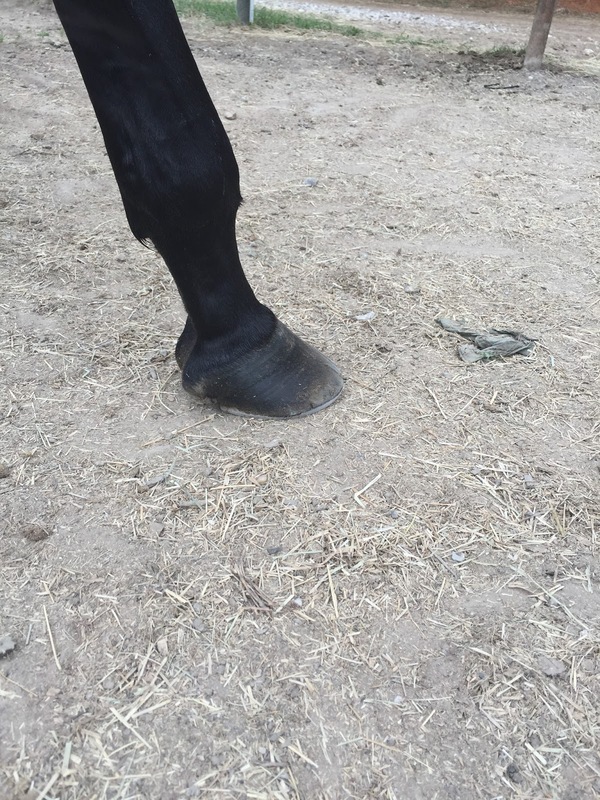 She also pulled a back shoe last weekend - sigh, those crumbly thoroughbred hooves - but it hasn’t seemed to bother her at all. The farrier’s coming on Monday to put it back on but I’m hopeful that means someday she’ll be able to go without her back shoes. The silver lining to all of this drama is that during August, after our dramatic lesson a few weeks ago, Mae has been perfect for me. Zero fakery, backs up like a dream, no spooking, and no other bullshittery. I still have to ask several times for contact in the bridle, she’s still hyper on her first canter around the arena, but otherwise she’s a much less dramatic ride. Also, this week we had another jump lesson - yay! Trainer set up two jumps in a three-stride line. First, we trotted in the first jump and then waited to see how she would take the second one. Slow and steady was the name of the game. The first few times, she was lazy, didn’t pick up her feet, and knocked rails on the entire line. We let her knock them, and trainer suggested that I not put boots on her next time so she learns that it hurts when she knocks a rail and she needs to pick up her feet. When she was trotting in calmly and steadily to the first jump, we began cantering her to the line. Again, slow and steady except that after the first jump, everything would fall apart. She tried to wiggle out of the second jump and then she flat out ran at it. After a few times, I finally got it right by closing both my legs and holding the reins evenly and firmly against her neck. There was less wiggle and she bopped over both jumps with less drama. I’ve been two-pointing her at the canter to the fences, but I need to learn to sit BACK at the fences and not jump ahead of the horse. We kept the fences pretty low - around 2 feet tall. Height is 100% not a problem for her, and she is so soft on the backside of the fence. We still plan to free jump her through a jump chute so she can figure out how to lift her legs / knees. One of the things I’m very happy with is her flat work to the jumps. Her canter is adjustable and a 180 degree difference to the bouncy, choppy, very excited canter Ryon had to the fences. She also has a typical long Thoroughbred stride and the three-stride line was no problem for us, which for Ryon would have been a four-stride. On the ground, I’ve been working on having her move laterally away from pressure. She’s starting to be more and more responsive at it, but I have to keep up the practice with her. Her dark bay coat has become lightened in the Texas sun, but she’s gotten TONS of compliments on how she looks. Since she was a rack of bones this spring, it’s not really that difficult to spot the improvement, but I can see the muscles in her topline growing. Remember a few months ago when I darkened my saddle? A few weeks ago, Mae and I were caught in a rainstorm while hacking in the outdoor arena. Instead of heading indoors, we kept it up while it started pouring outside. Thoroughbreds are impressively any-weather horses. She shook raindrops out of her face when they were too much but otherwise she stuck with it. However a sad side effect is that my saddle is now splotchy and discoloured from the rain. I’m using hydrophane to try and even it out. Anyone have any tips out there or is it time for a new saddle?? I’ve also been listing Ryon on Dreamhorse and Craigslist with little success. There have been a few nibbles but nothing concrete has come through. I know my boy is happy and healthy out in pasture, but I still need to get him working again so he doesn’t lose all of his muscle tone. oh man, yea i see what you were saying about her feet! fwiw, charlie's on a shorter cycle bc his feet are growing too, but if i let them get long enough they will grow at incorrect angles and he *will* go lame. for Mae, that could be exacerbated by the crookedness in her front legs. will your farrier not agree to a shorter cycle? anyway, keep fighting the good fight - these feet can be so hard to manage but we do what we can! Oh yeah those feet are kind funky. I hope the shoeing helps! Glad the lessons are going well. Also I don't think you need a new saddle haha! Mine has been through the ringer and keeps on going! Just spend time oiling it again. I'm keeping at it with the hydrophane - we'll see if that starts to make any difference. 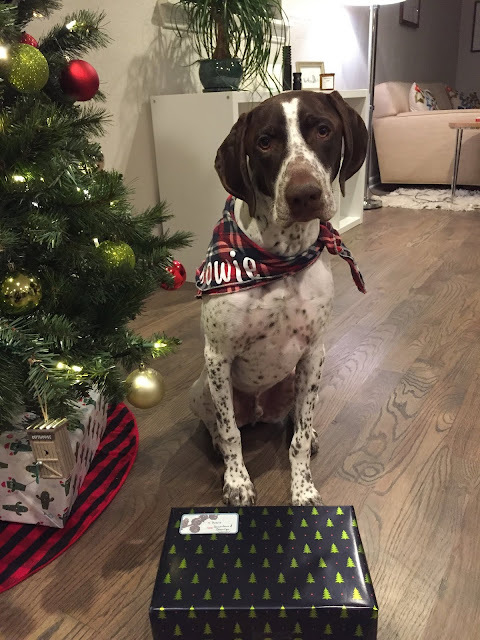 The saddle is 13 yrs old! Hope the shoeing helps. I'll post progress pictures as time passes! I'm so glad to hear that Mae has been perfect for you with no more fakery! But it's too bad about your saddle...hopefully, you can even it out! She's such a beautiful horse! We had a thoroughbred long ago when I was 4 or 5. That horse was wild, though. My parents never let me ride him. I hope you weren't wearing white jeans when your saddle discolored from the rain. I know, that would be weird but I've seen it happen. Anyway, it's good to hear she's doing fine. You sound like you're doing fine, too.